Ewig who are representing Brandenburg at the Bundesvision Song Contest 2015 are to sing “Ein Geschenk” in Bremen. Ewig were founded in 2011 and released their first single in August 2012 called “Ein Schritt weiter” which made it into the top.100 of the German charts. 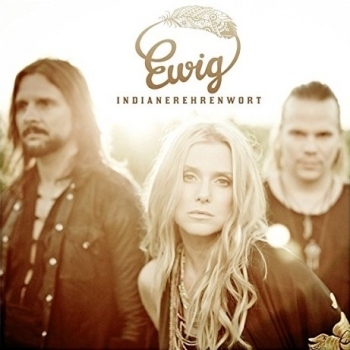 They released their second album “Indianerehrenwort” earlier this year which features their Bundesvision entry “Ein Geschenk” on it. Brandenburg has won the Bundesvision Song Contest on one occasion in 2008 when they were represented by Subway to Sally with “Auf Kiel”, they won by the smallest margin of just one point over Thuringia. Last year Brandenburg finished in 15th place with just 10 points. Latest News, Ukraine, Turkvision Song Contest, Turkvision, Turkvision 2014Ukraine: Natali Deniz Releases "Sabaa"